Our local engineers for boiler repairs are highly experienced to handle all types of boiler repairs and are offered 365 days a year. We can usually attend your London property boiler repairs or surrounding areas the same day or at a convenience time. Call our friendly team on 0207 127 5128 and we will be happy to help you. You can also book our engineer for a boiler repair service online here. When you call us regarding your boiler repair, we will come to your property and check your boiler fault. As soon as we identified the problem we will provide you with a fixed price quotation to have your boiler repaired. Cenultra boiler repairs have developed an excellent relationship with private customers and property managers; we also carry out gas services for some of the biggest letting agents in London on a daily basis. We provide the same day service to all our customers, having a vast group of knowledgeable gas engineers we can have them out to you within 1 hour day or night, we always have at least one gas engineer on standby for an emergency boiler repairs in London that may develop. At Cenultra, we understand there is never the right time to have boiler problems and we are here to help. All our local gas boiler repair engineers in London and surrounding locations are Gas Safe registered. They are certified to work on any kinds of domestic and commercial LPG and natural gas boiler, system boilers, regular boilers, and combi boilers from domestic and commercial boiler manufacturers like Worcester Bosch, Main Combi, Glow Worm, Vaillant, Keston, Viessmann, Alpha, Potterton, Baxi and more. We are trustworthy and friendly. We offer fixed repaired quotes for all our boiler repairs, so you always know exactly how much it’s going to cost. Our company reputation as one of the best providers of low cost, high quality boiler repairs in the area has led to a large amount of contracted work for letting agents in London and social housing associations, and we are on hand for Landlord requiring emergency boiler repairs on behalf of their renters. Most of the time we can complete the repairs right there and then, not having to drive back to the supplier, or order parts online. Our vans are fully stocked, so they can deal with your repairs quickly rather than doing the rounds for parts. Saving us all time and money. 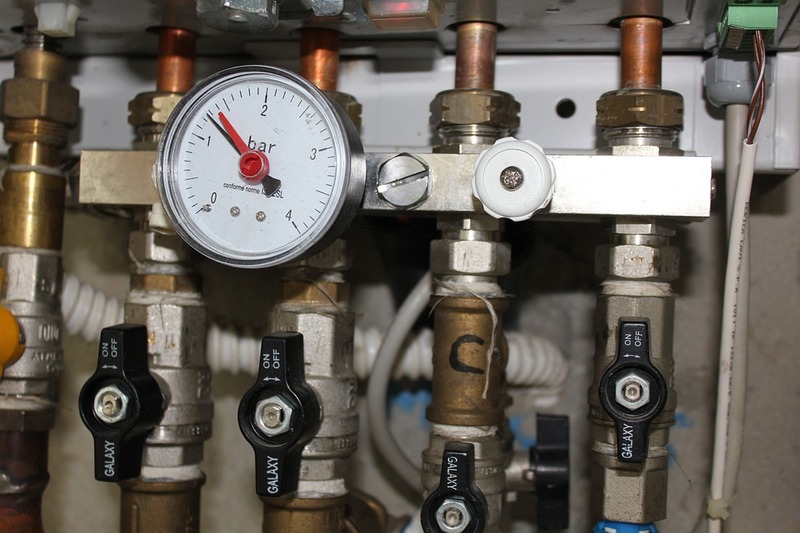 Usually, boiler repair costs depend on the type of the problem. There is absolutely no specific way for you to figure out the actual cost without knowing about the real fault that caused the breakdown. We are all aware with that any type of machine will breakdown ultimately in time or another and you need to be prepared to get it repaired. If you’re planning for regular servicing, you can maintain it well. This would be an excellent practice of decreasing the boiler repair costs. It is best to take a look at the service documents that included the boiler when you purchased and installed it. It contains the required servicing details. Required a reputable commercial or domestic boiler repair service in London? Call us on 0207127 5128 for same day boiler repairs and next day boiler installations by our factory trained and accredited boiler repair service experts and boiler installations team. We are always on hand to help you with any boiler repairs that may be required. A regularly scheduled boiler service is the best approach to keep your boiler operating efficiently and to avoid costly boiler repairs. Our boiler repair team suggests regular boiler repairs to increase the life of your boiler system and to troubleshoot possible issues before they end up major problems. The boiler repairs can be very stressful, especially when money is tight, but we try to make it as affordable as possible. Do not be tempted to hire an engineer that does not have the suitable training, as if they’re not registered, you will be more likely be breaking the law to have them working with your boiler repair job, however more importantly, you’ll be putting your family at risk. What’s more, if you do not get a quote from a professional gas installer, you will never know how little we charge! A working boiler in a good state can make a big difference in your standard of living by keeping you cosy, warm and active in cold days, and nights. That is why boiler getting damaged will be your worst nightmare. We at Cenultra understand the importance a boiler holds in your office or property and for that reason, we offer 7 days service for boiler repairs and install in London. If you own a boiler– in your home or business– you need to learn to take care of it. Although boiler repair is something that must only be done by professionals, the owner of the boiler have to know the signs of a broken boiler in order to prevent any accidents. You should never undertake boiler repair work on your own unless you are really qualified about the workings of your boiler. Boilers are complex heating equipment made of many components and so when you undertake your own boiler repairs, you can cause more damage than was already present. Always get in touch with a qualified professional before you try to carry out any kind of gas boiler repair and maintenance on your own. If you are certified to do your own repairs, make sure that you have all the required parts on hand before beginning your repair work so that your job is made more efficient. If you find yourself requiring a boiler repair in London or the surrounding locations, contact one of our local Gas Safe registered boiler repair engineers today. Cenultra boiler repair engineers are always on hand to assist you. Our dedicated team of fully certified engineers have the ability to help with a full range of fixed price service schemes, in addition to one off boiler repairs, for all kinds of gas central heating. All of our gas engineers are approved for repairing and installing all brands of the boiler. Call us today on 0207 127 5128.